Director Can Evrenol won Best New Director here at Fantastic Fest 2015 last night. It's an honor well deserved. 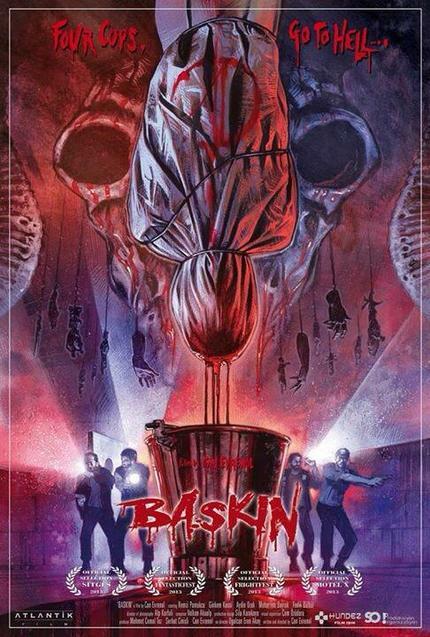 With his debut feature Baskin he's juggling potential tonal problems that could give any filmmaker serious headaches. What emerges, from his steady guidance, is a masterpiece of Lovecraftian dread that plays like Once Upon A Time in Anatolia meets Hellraiser. IFC has purchased the film so those who missed it can still have hope of checking it out stateside. But even those who have seen it will probably get together with friends to watch again.